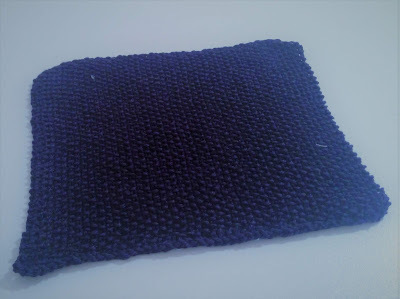 This week I got a lovely parcel from Shez...…. 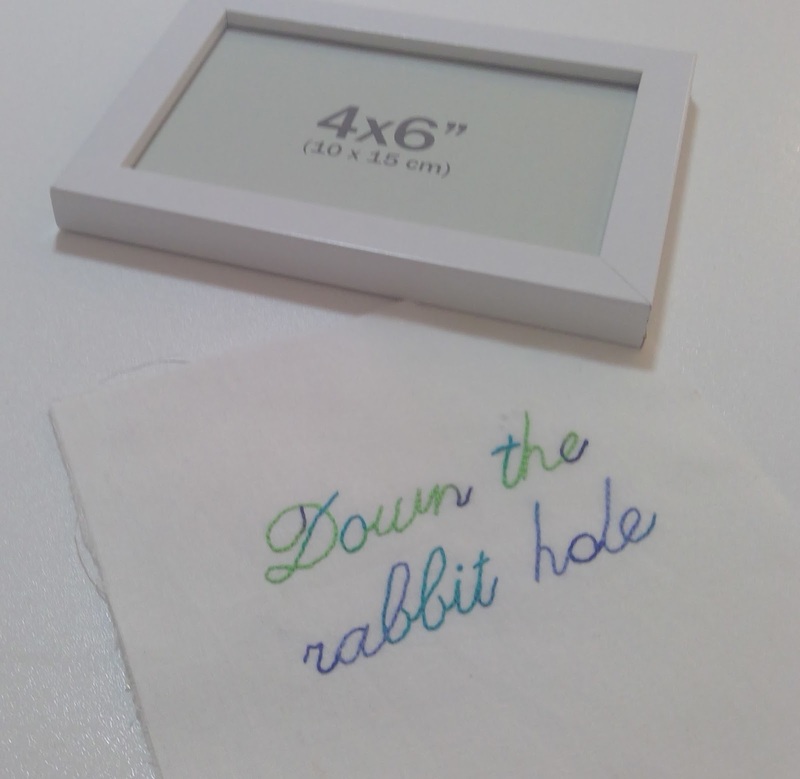 I love the saying so I traced and stitched this one up and I'll put it in a frame.... we all go down the rabbit hole occasionally????? I am looking forward to doing some of the table runners - need to search out some fabrics for them. We have had a bit more rain on Friday .... and the little bit of front lawn actually needs mowing. Normally in summer mowing needs to be done on a weekly basis - I think this is the first mowing it has had since early December. The rest of the grass has not recovered yet. 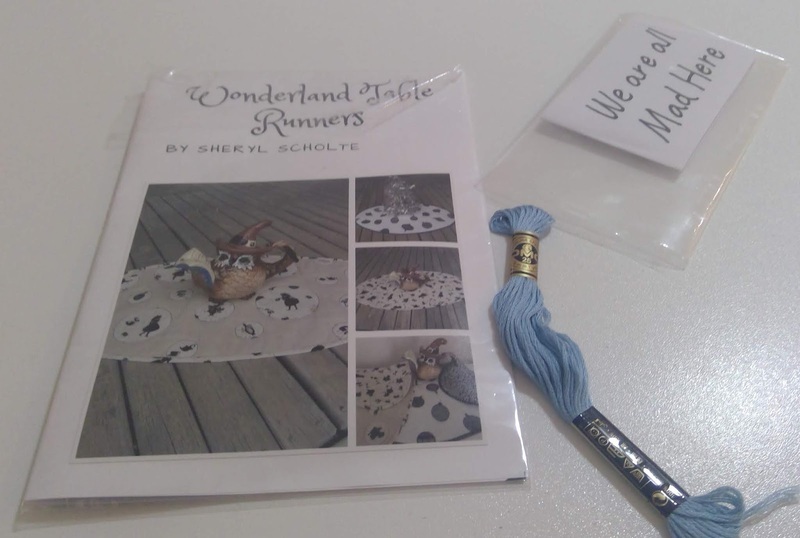 Hi Fiona what a lovely surprise to see that you have already made up a little project ,i love it and thankyou my lovely friend for your support and friendship you are 1 in a million. Rain is good! Yes, you are right, we all go down the rabbit hole occasionally. 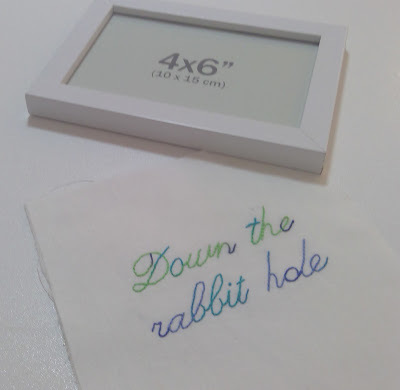 Perhaps you could look for fabric featuring bunnies! Your latest mouse is very cute. I’m glad you are getting some rain. Here’s hoping you get some more. We are getting a little here too and tomorrow is supposed to be showery. Fingers crossed. 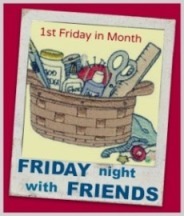 Your stitching will look very cute in your frame and it will be like having a friend with you while you sew. Your mouse is definitely in our happy place. YAY Shez - what a darling pattern! Love that mouse....oh definitely Happy Place!!!! 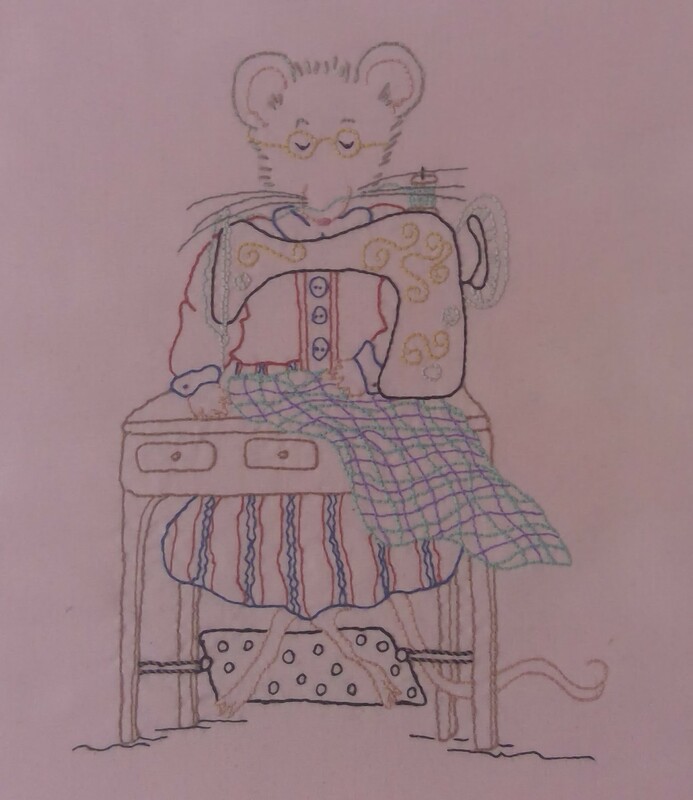 Such a cute mouse and yes it is in a happy place behind the sewing machine.